From their solar-powered distillery, Appalachian Gap is handcrafting a line of delicious, unique spirits that will delight the senses. These are spirits that they carefully — painstakingly — craft to meet their exacting standards. Appalachian Gap Distillery’s spirits are balanced, rich in flavor, utterly unique, and made right here in Middlebury, Vermont! On Friday March 29 from 4:00 – 6:00 pm, come by the Beverage Warehouse to taste these beautifully-crafted spirits. A botanical gin that expresses the bounty of Vermont, enhanced with flavors that are rarely, if ever, used in gin. The base spirit is the same as is used for all of App Gap Distillery’s grain-based spirits — 45% barley, 30% corn, 25% rye — distilled to a much higher proof to create a neutral base. Balsam fir needles, and even Szechuan peppercorns (along with six other botanicals), are macerated with the traditional juniper berries, then redistilled in their small copper pot still to create an intensely flavored herbal experience with a beautiful nose and round mouthfeel. Appalachian Gap’s version of a dry gin. If Mythic can be described as an herb garden, Peregrine is a spice garden. Emphatic juniper, spice notes of cumin, cassia, and cardamom, and a long, luscious finish redolent of orange make for a totally unique taste experience. Appalachian Gap’s master distillers tasted a smokiness in Vermont’s own dark maple syrup that they thought would marry well with the smokinesses of agave spirits like tequila. Rather than adding maple syrup to a base spirit and making something sweet, they fermented agave syrup and maple syrup together to create an amazing “Vtquila”! They import organic blue agave nectar from Jalisco, Mexico, and mix it 4:1 with dark Vermont maple syrup. Three to four weeks of fermentation and double distillation through their hybrid still result in a spirit like no other in the world. 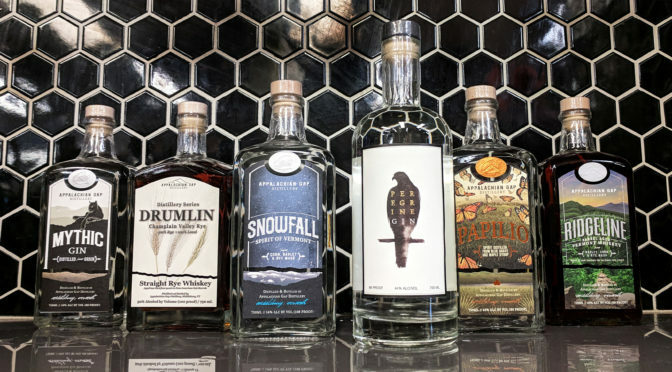 As a group of people who pride themselves on making truly unique spirits, it initially seemed a compromise of Appalachian Gap Distillery’s values to make vodka. Vodka is, by definition, neutral; nothing else they make is even remotely subtle, much less neutral. However, the challenge proved too much to resist, so they started experimenting. The result is a surprise on the palate, and a delight in cocktails. Fractal Vodka is made from the same base as all of their grain-based spirits — 45% barley, 30% corn, 25% rye — distilled to at least 190 proof through their stainless still two-column vodka still. Careful and controlled distillation results in a gorgeous, smooth vodka with a lingering sweetness. Snowfall is the unaged heart of App Gap’s Ridgeline Vermont Whiskey and has won multiple awards for its incredibly clean, full flavor. They start with a mash of 45% barley, 30% corn, and 25% rye. During the second distillation of Ridgeline, they draw off a small portion from the middle of the “heart’s run”, when the spirit is at its most pure. 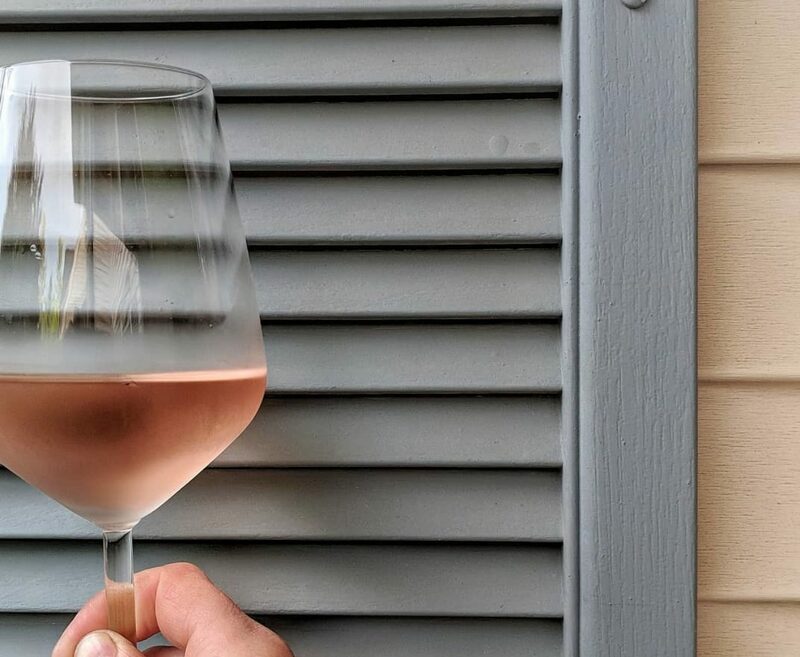 This then touches oak briefly, is proofed to the powerful 108 proof at which it’s bottled, and is placed in a stainless steel tank to allow the flavors to soften and meld before bottling. The creative folks at Appalachian Gap imagined Ridgeline before they even started the distillery — a rich whiskey, reminiscent of bourbon and Irish whiskies, but with a character all its own. They start with a mash of 45% barley, 30% corn, and 25% rye. Double distilled, it is then aged in ex-bourbon barrels, new American oak barrels, and port wine barrels. The three different barrels result in three distinct whiskies, from which they prepare batches — each slightly different — based on their distillers’ tastes.